Okay, bad news. Really bad. Something that’s been nagging at us for the last several years has reared its ugly head. And it is ugly. SUV-ugly. We're not sure how we avoided it for this long. Or actually we are sure. We didn't want to think about it. We’ve always been concerned about the track dimensions of the MGB, and how well they'd work in a Locost. 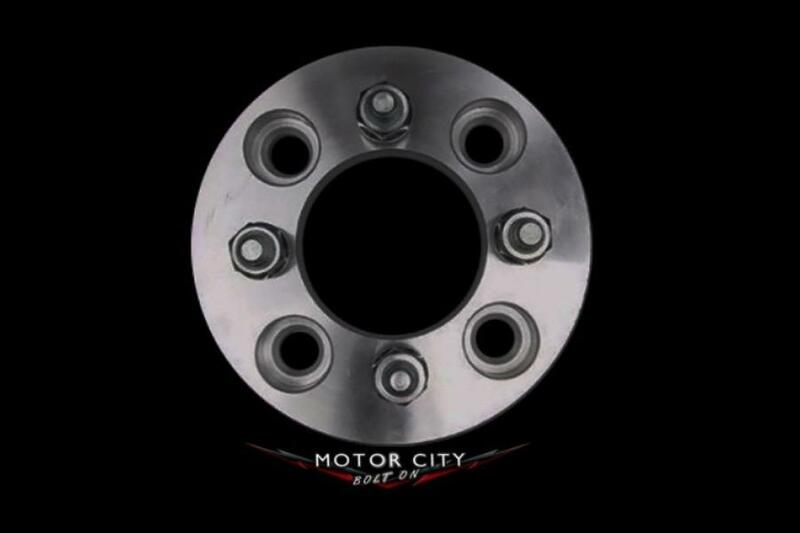 The limiting factor is the rear track, which is fixed by the width of the MGB axle housing. With a stock wheel offset of 22mm, rear track on an MGB is either 49-1/4” or 49-1/2”, depending on where you look it up, but in either case a little over 49". A 165/60-14 Dunlop Star Spec, our minimum-width tire of choice, is 7-1/2” wide. Subtract that from the more generous 49-1/2” and you get 42”, the exact width of a Locost frame. And actually 1” narrower than the widest point in back, the suspension trailing links. So obviously we blew it, and now something needs to be done. We considered all kinds of different options, up to and including narrowing the chassis. However, after much research it appears the best solution will be wheel spacers, the thick aluminum kind that bolt to your existing hub and carry four new studs for mounting the wheel. A place called motorcitybolton.com has them for the MGB (4x4.5 bolt pattern) in several widths. Their 1-1/4” spacers would be just about perfect, increasing the track to 52”, providing a good 1/2" clearance from the trailing links. So that's not a major problem, but it gets worse. Much worse. We designed the front track of the Locost to be exactly 50”, and we used that figure to carefully determine the precise length of both the upper and lower control arms. More than once. Now, after all that mess about jigs and threaded tubes and camber adjustments and getting all of the lengths exactly perfect, and trust me it was a big mess, our brand new A-arms are too short. We have three options to deal with this. The first is to go with a narrower track in front than in the rear. This is bad for several reasons. The car would not track well in the corners, and would look funny besides. Sort of embarrassing. The second option would be to use the same 1-1/4” wheel spacers in front. This is better, but less than optimal because it would increase the scrub radius, which is already fairly positive on an MGB, and put more load on the wheel bearings. Which leaves the third option, easily the best though not the easiest, which is to lengthen the A-arms by 1-1/4”. At first blush this sounds like a huge do-over, but actually it just means building four new tubes, and a new jig. Another 20 hours. The good news is, nothing is welded yet. We can re-use the threaded tubes and connector tubes. We can reuse all the brackets, and in the end all the A-arm angles will be a little more gentle. And we have lots of experience building A-arm jigs. Plus, a 52” track is definitely better than a 50” track. Of course all this could have been avoided if we’d realized from the start that no matter what, the rear track of a Locost has to be at least 52”. Somehow we missed that step. Or else we figured there had to be another solution. Magical thinking. Really trhswtortuy blog. Please keep updating with great posts like this one. I have booked marked your site and am about to email it to a few friends of mine that I know would enjoy reading..
Great blog so far, just discovered it last nite. I got to this part about the rear track width, and had to laugh..I'm in the middle of my own MG based, tube framed car, and wrestled with this problem for a long time. My answer was to have offset wire wheels made up by Dayton, and so gained (just) the needed clearances. That and modifying the tube frame in one area. That wider rear track led to widening the front...see my "project journal" on www.britishv8.org, look for "50's period MG Special", parts one and two. Looking forward to following your build, more as it occurs.